It is so difficult for a blogger to get motivated in January, it’s dark when you leave for work, it’s dark when you get home from work, and the light is so horrific for photos that half the time it is not even worth taking any! So to brighten up my life a bit, I’m going to go through my make up collection a bit more, and do slightly different things with it. Last year, I started doing “Lipstick of the Week” posts, highlighting what I’d been wearing the previous week, and they were hugely popular, so I’m going to keep doing them this year, but, to keep myself interested, I’m going to set myself little challenges, or have themed weeks. I’ll only be wearing red lipstick this week. But I’ll be wearing it every day this week! 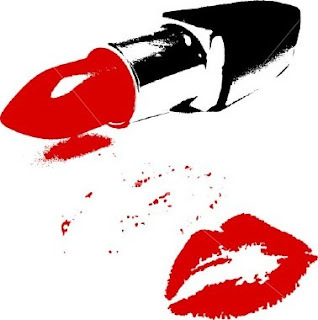 If you want to join in, send me pic of yourself wearing your brightest/favourite red lipstick and I’ll feature the best ones on the blog this Sunday, or, if you’re shy, you can leave me a comment suggesting themes or challenges in the comments on this post today. Here’s to red lips! brilliant idea! I have quite a few lipsticks but I don't wear them that much,so I'm gonna wear a different one every day this week. Then switch to glosses next week maybe?